If you’ve spent much time in the world of alternative treatments, quite a few things may come to mind. Gallbladder and liver flushes that keep you in the bathroom for days… and take your energy and sanity with them. . .
Green smoothies promising overnight success. . .
Maybe even coffee enemas (not crazy: they work). . .
Fortunately, the ancient Greeks, Native Americans, and Ayurvedic doctors have bequeathed us other choices: gentle, sane, and inexpensive detox practices that have been around since almost the dawn of civilization. They still come highly recommended by many natural doctors and clinics – plus you can do them at home – easily, and almost for free. . .
No extreme measures needed…keep reading for the details. . .
With these practices, you can easily target some of the largest, most far-reaching organs for detox. The first organ is your skin… your largest detoxification organ. Its key roles are to remove waste, aid digestion, and promote circulation, mostly by way of sweat. Which means sweating is something you want to do. It helps release toxins. This is one of the benefits of regular exercise. But there are lots of other ways to sweat. On the flip side, if your kidneys or liver are overloaded, your skin becomes a dumping ground because the No. 1 priority is to keep your blood pure to guard you from disease. For this reason your skin is often the first organ to reveal the awful truth – reflecting internal problems like a mirror. Another large yet underrated organ sits just below the surface of your skin – your lymphatic system. Most people don’t grasp their lymphatic system’s key job – expelling toxins. Unlike your bloodstream – which has a heart to keep things moving – your lymphatic system lacks a pump. It operates by way of a valve system that relies on movement – exercise – to shake things loose and move the fluids along. Unfortunately, as people age they become more sedentary, pushing their lymphatic system into slow motion and compromising their immune system. Other insults, like dehydration, only make the problem worse. Fortunately, when you turn your bathroom into your own personal medical spa (as I’ll describe in a moment), you’ll detoxify your system gently – and for mere pennies per treatment. Admittedly, these symptoms can indicate many other conditions, too. But if you suffer from most of them, I’m willing to bet sluggish lymph is part of the problem. Imagine what would happen if garbage collectors never collected your trash. Your neighborhood would be a smelly wreck in short order. Something like that happens to your lymphatic system when it gets lethargic. The garbage just stays there and piles up. Dry brushing is a homeopathic detox treatment used in Ayurvedic medicine for millennia. It stimulates and exfoliates your skin – and helps your lymphatic system purge built-up toxins that can cause disease and dull skin. You lose over one million skin cells every day, and you may still be wearing last week’s sloughed off cells (yew!) If that’s the case, those old, dead cells can be a hidden cause of acne, rashes, and other skin problems. Those problems are not-so-subtle hints you need to detox. It’s as if your toxins are caught in a big-city-style traffic jam and can’t find an escape route. When they can’t find their way out, your skin reabsorbs them and they get into your bloodstream, overtaxing your kidneys and liver (your body’s filters), and even getting stored in your fat cells. Many natural doctors say dry brushing is a great way to clear clogged pores of oil, grit, and other residue, boost lymph flow, and stimulate circulation. It also boosts energy, improves digestion, and elevates collagen levels. Brush your skin when it’s dry (not wet). Immediately shower in warm water to wash away surface toxins. Most people find dry brushing invigorating, so morning is the preferred time, so you don’t “wake up” your system right before bedtime. You’ll need a long-handled brush with natural vegetable fiber bristles… never synthetic. Bristles should be dense, stiff, and strong. Brushes are available online and at health food stores. It only costs about $15 to get started. You’ll want a separate, softer brush for your face, front neck, and other sensitive areas. When you brush, use smooth, gentle strokes, always moving toward your heart to follow the natural pathways of the lymphatic system. Start with the bottom of your feet and move up your leg and thigh toward your heart. From the palm of your hand, brush your arms towards your heart. Stroke your torso up to your heart, your neck and front shoulders down toward your heart, and your back toward the heart. Avoid sensitive breast areas. Emphasize behind your knees and your armpits, because they house an abundance of lymph nodes. Use gentle strokes; your skin should not feel irritated or sore. Follow by showering. Experts recommend you clean the dead skin flakes from your brush weekly, and replace the brush every six to twelve months. Today’s second detox secret is a relaxing evening routine that removes stress and impurities and prepares you for a wonderful sleep. Like dry brushing, Epsom salt baths have been used for centuries. This compound stimulates detoxification pathways and remediates magnesium deficiency. Magnesium deficiency is epidemic in our society, and is a common cause of fatigue, depression, and other ills. Epsom salt baths help relieve disease symptoms and reduce the anxiety, irritability, and sleep disorders often seen in cancer patients. The baths also help relieve pain. The sulfates found in Epsom salts promote joint and nerve function. Plus, they bind toxins, make them water soluble, and usher them from your body… in a process known as Phase 2 liver detoxification along the conjugation pathway. It’s highly critical in cancer patients whose bodies are often teeming with toxic chemotherapy drugs. Phase 2 liver detox depends on co-factors like sulfur to bind to impurities. 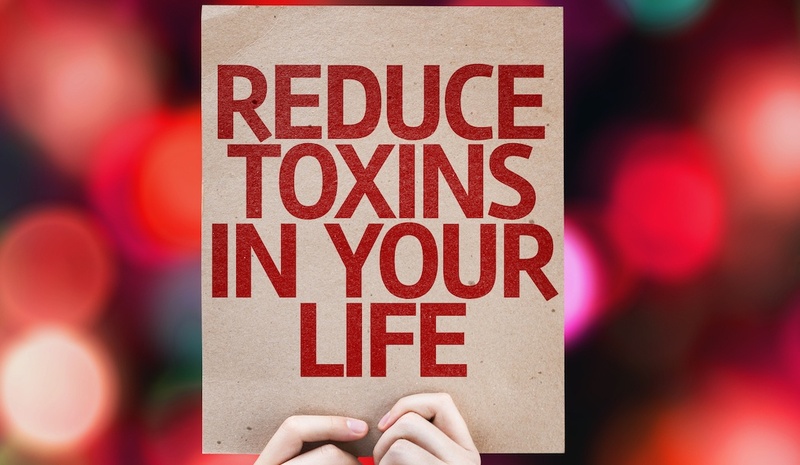 Otherwise, those toxins stay locked up in the liver – triggering nausea, headaches, migraines, chronic fatigue, infections, chemical sensitivities, and bloating. Epsom salt baths can trigger dehydration, so drink a tall glass of water with a dash of Himalayan salt just beforehand. Epsom salts literally pull salt – along with toxins – from your body, so you need to replace the salt you lose. Fill your tub with hot, pure water – preferably filtered — and toss in 1½ cups of Epsom salts if you weigh 100 to 150 pounds, adding another ½ cup for each 50 pounds of weight above 150. Put on some relaxing music and enjoy the ambience for the next 40 minutes – 20 minutes for pulling toxins out, and 20 more to absorb magnesium. There are people who should NOT take Epsom salt baths. Avoid them if you’re pregnant, have exposed cuts or burns, or are severely dehydrated. Consult your doctor first if you have heart disease. It’s natural to be skeptical about therapies like dry brushing and Epsom salt baths, which haven’t been tested in clinical trials. Sure, they have a long history… but do they work? Realize that simple inexpensive treatments like these will probably never be studied except by individual practitioners treating individual patients and observing the results. Conventional medicine turns up its nose at this sort of anecdotal or case study evidence, even though ALL medicine until maybe 200 years ago was based on case studies. And quite a bit of it worked. Another factor is that such treatments are almost always part of a multi-part protocol where the patient is doing maybe a dozen other things. So we can’t separate one therapy from the bigger picture and determine what effect it has, minus everything else. I have great respect for case studies. When I hear a protocol has reversed someone’s cancer – or another disease – I think it’s worth paying attention. While it’s reasonable to assume these treatments won’t be an overnight jackpot for your health, both of them help remove toxins. Plus, they’re dirt-cheap, won’t do any harm, and are smart additions to your overall health. So why not try them? By the way, in these pages we’ve often written about another great way to sweat out toxins: infrared saunas. And this is a treatment that IS proven in published studies. You can read more about them here.